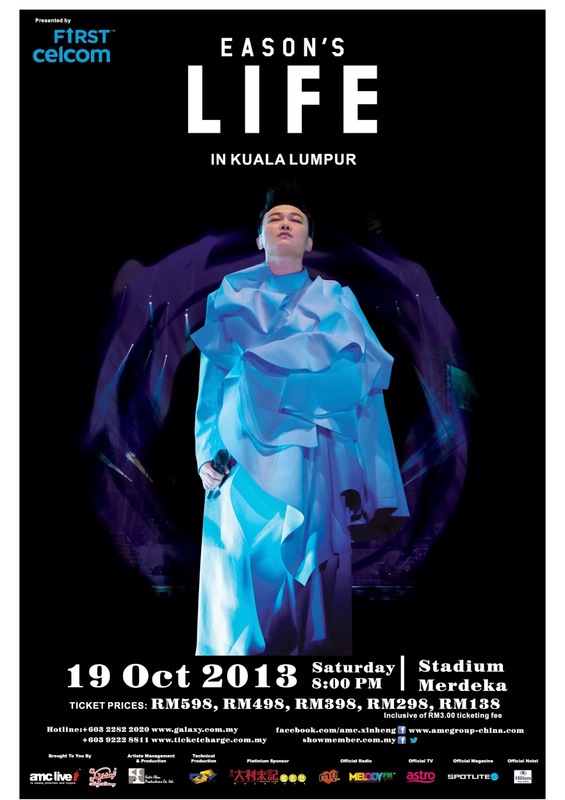 [Upcoming Event] Eason Chan to hold his “EASON’S LIFE” concert in Kuala Lumpur! Eason Chan to hold his “EASON’S LIFE” concert in Kuala Lumpur! Eason Chan “EASON’S LIFE” concert in Kuala Lumpur! The Hong Kong megastar will be in Kuala Lumpur to hold his “EASON’S LIFE” concert come October this year—the very first outdoor leg of this show and the very first overseas Asian leg of this concert outside Hong Kong. Kuala Lumpur, 19 August 2013 - Eason Chan is on the threshold of major stardom in Hong Kong and undoubtedly one of the most dominant male singers in the post-1997 era of Hong Kong music industry. Praised by Time magazine as a forerunner of the next generation of Cantopop and considered as Hong Kong's third "god of song" after SamHui and Jacky Cheung, the star was crowned “King of Asian Pop” by Time Out Hong Kong in 2012. Back with a new concept concert tour this year, 《EASON’S LIFE in Kuala Lumpur》is proudly presented by Celcom First and will take place on Saturday, 19th October, 8pm at Stadium Merdeka, Kuala Lumpur. This is the very first outdoor leg of the《EASON’S LIFE 》concert tour, as well as the very first Asian leg of the concert tour following its launch at the Hong Kong Coliseum back in July 2013 and its subsequent stops in Sydney and Melbourne, Australia. In fact, the show has received rousing success since its launch at the Hong Kong Coliseum on 6th July 2013, and unexpected and overwhelming ticket demand had led local Hong Kong promoter to answer fans’ call for more shows, increasing his show performances from the initial 12, to 17, to 20, to 23, and lastly to the final count of 25 shows held in Hong Kong alone over a month long period. Not only a powerful vocalist, Eason Chan also plays some of musical instruments including piano, guitar and drums and frequently showcases his musical talent by incorporating instruments into his live performances. The star is hard at work with practices and concert preparations, with the hopes of delivering a fantastic show for audiences and sharing his depiction of LIFE through his music. 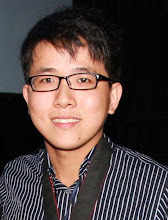 《EASON’S LIFE in Kuala Lumpur》is proudly brought to you by AMC Live Group and Galaxy Group.